In collaboration with international organizations- intergovernmental organizations in UN system, international civil networks, and other institutions, the GSEF put its utmost effort to advocate for the potential of SSE as a strategy for achieving the global goals including the Sustainable Development Goals or the New Urban Agenda. The GSEF has been participating in the UN Task Force Team for SSE as an observer and working with other international SSE networks to strengthen the agenda of SSE at the international discussions. 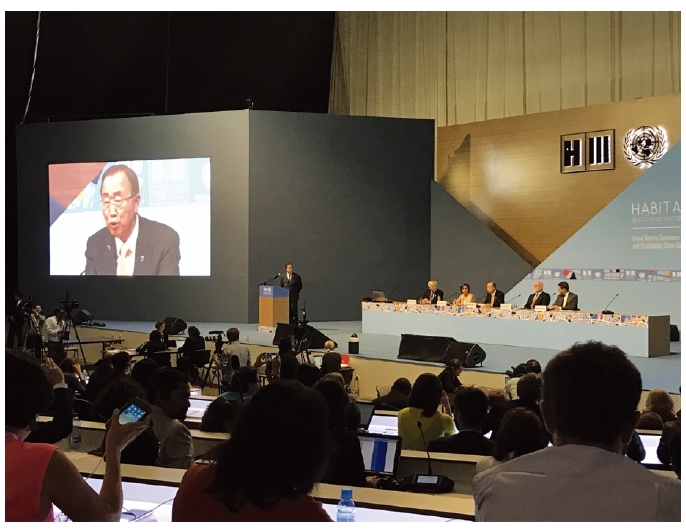 By participating in significant international meetings, the GSEF is advocating for SSE to be recognized important means to achieve the agenda 2030. As a result, the international SSE networks including GSEF collectively made the SSE mentioned the New Urban Agenda adopted at the Habitat III(Quito, Ecuador, Oct. 2016) and issued the Praia Manifesto for the 4th Local Economic Development Forum (Praia, Cabo Verde, Nov. 2017). 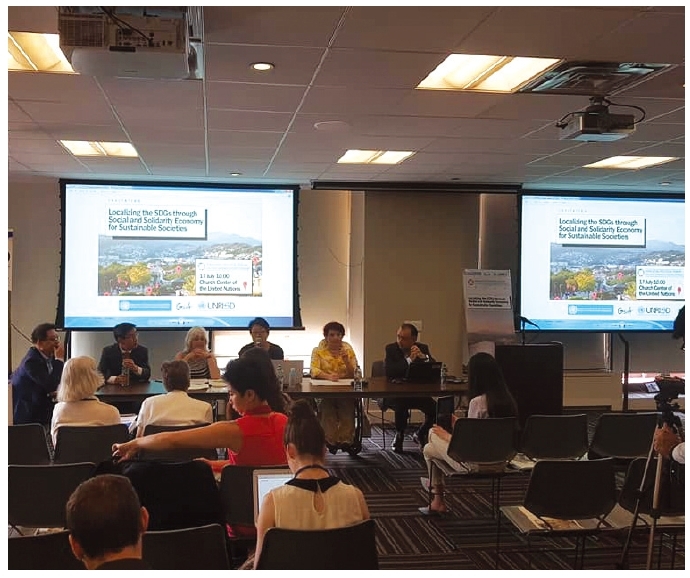 Recently, the GSEF held a side event on “SDGs and SSE” at the High-LevelPolitical Forum in New York(July 2018) with UNDESA and UNRISD.